Do you have information on one of Moriah's "neighborhoods", or additional information about one of the featured hamlets? This page is (constantly) under development, and your contribution of information or photos will be appreciated. Material can be e-mailed to JohnV "dot" PortHenry "at" gmail "dot" com, or use the "Contact" form to provide your name and number, and I will contact you. Thanks. There is more to the Town of Moriah than the Village of Port Henry: distinct hamlets and "neighborhoods", each with their own character and history. Read about the hamlets of Mineville, Witherbee, Moriah Corners, Moriah Center, Grover Hills, and the neighborhoods of Cheever, Tracy Road, Fisher Hill, Crowfoot Pond, Edgemont, and Mutton Hollow. The oldest iron bed in Moriah is the Cheever bed, located just one and one-half miles north of Port Henry. In its earliest days, settlers would go to the mine, pile the iron on to a sled and drag it back to town. The Cheever Bed's value was not appreciated until 1853 when it began to be worked seriously. A number of other small beds in that area also were worked for several years. In the the late 1700s and early 1800s, timber harvesting and land clearing occurred at a great rate; there were 20 sawmills on the river between Ensign Pond and Lake Champlain in the first half of the 19th century. Docks were built at Port Henry as early as 1820, with the area's first road linking Port Henry to Moriah Corners. Lumber harvested in the Moriah Corners area could then be rafted north to Canada, and, when the Champlain Canal opened, to southerly markets. 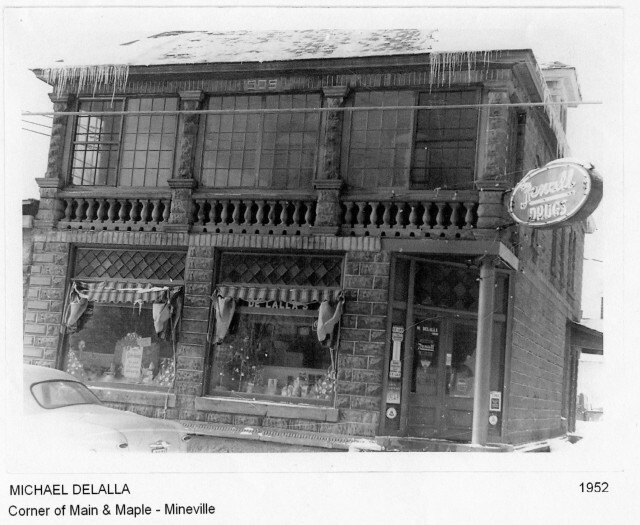 Commercial buildings, such as the Rexall Drug Store in Mineville, were also constructed from the mine tailings bricks. Along with the mining companies came the railroad for bringing ore from Mineville and Witherbee to the main line at Port Henry, replacing the old Plank Road. Today, Mineville is home to the Moriah Business Park. Take the tour. (Opens in a new window or tab). The Moriah Business Park is a 32-acre park ready for immediate development. The park is located 11 miles from Interstate-87, 4 miles to rail access, 50 miles to the Plattsburgh International Airport, 60 miles to Burlington International, and 120 miles to Montreal International Airport. The Moriah Business Park currently is home to a 22,000 square foot spec. building occupied by Pre-Tech Plastics of Vermont. Lot #2 at the park is home to the new 4,800 square foot Moriah Health Center. Lots 3, 4, 5, 6 & 7 are pre-permitted through all applicable regulatory agencies for immediate construction of up to 10,000 square foot buildings. Two or more lots may be combined for larger buildings. Each lot offers municipal water and sewer (Town of Moriah) along with 3-Phase power supplied by National Grid. Cable, high speed Internet access and broadband are available at the Park. Contact the Essex County IDA for more information: PO Box 217, 7566 Court Street, Elizabethtown, NY 12932; (518) 873-9114; www.essexcountyida.com Or, just use this "contact us" form and we will insure that the proper Town, County, and IDA officials contact you. 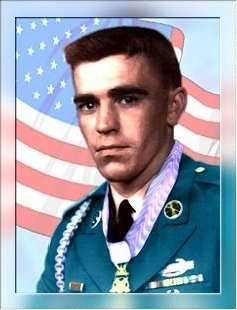 Raymond Buzz Wright, recipient of the Congressional Medal of Honor. Read his biography and the Citation, and visit the park dedicated to him. 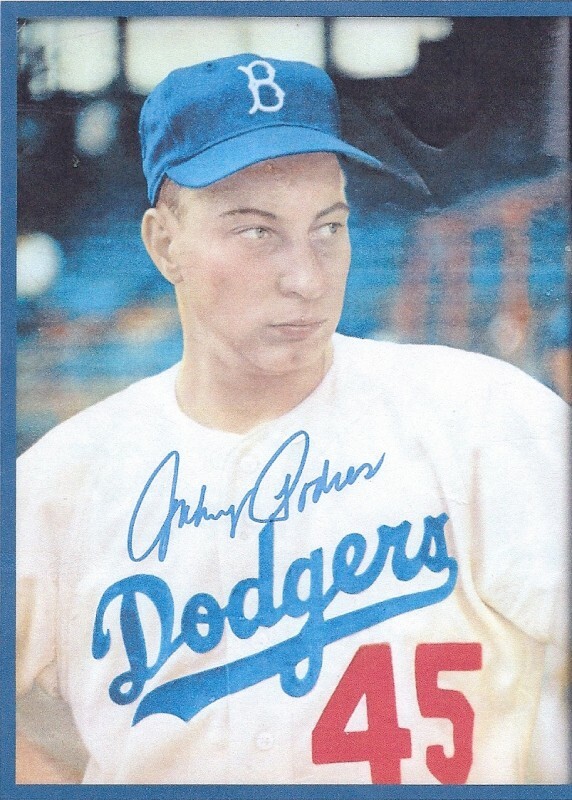 Johnny Podres, winner of game 7 for the Brooklyn Dodgers, 1955 World Series. His complete stats and biography are available on the official Johnny Podres website (opens in a new window or tab). Grover Hills was one of two Federal Housing Projects constructed in the Town of Moriah. In 1942, the Federal Public Housing authority started to build five dormitories, with a capacity of 60 persons each, and 207 houses in various sizes, to take care of 430 families These units were located in Moricette Heights and Grover Hills. Grover Hills was named for Oscar J. Grover, Jr., the first town of Moriah solder to die in World War II. Moricette Heights was named for Edward J.Moricettte , the first Mineville serviceman to die in WWII. In 1948, approximately 100 dwelling units were dismantled and shipped out (one to a college, and others to Lyon Mountain). In November, 1954, 96 housing units and vacant lots at Grover Hills were offered for sale to tenants. Only 34 of these were sold, and in March 1956, the remaining 62 units were placed on sale to the public. Private housing has continued in Grover Hills, but Moricette Heights was never developed to the extent originally planned. Moricette Heights was located behind where "Gloria's Restaurant" stood for many years. 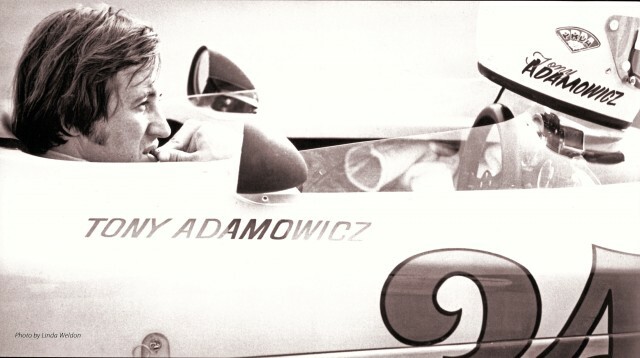 Adamowicz, earned 9 Championships, countless class wins and lap records, and scores of top-ten finishes in his 50+ year career in racing. He has been inducted into the Watkins Glen Drivers Walk of Fame, the National Polish-American Sports Hall of Fame, and the British Sports Car Hall of Fame. Anthony Peter Adamowicz, known as “Tony a2z” in race car circles, was born at Bigelow’s Maternity Home in Moriah, NY on May 2, 1941. The first-born son of Violet and Walter Adamowicz, Tony was raised in Port Henry and graduated from Champlain Academy and Port Henry High School. He served in the White House Communications Agency while in the US Army under Presidents Eisenhower, Kennedy, and Johnson. As a child, Tony read about race cars and famous drivers like Juan Manuel Fangio, and later, as he drove the family car from Port Henry through the rock cuts to the bridge turn, he dreamed of being a race car driver himself. While in the Army, he would race up the twisting roads into Camp David. On a day off he tried his hand at amateur racing and won his very first race. Emboldened by success, he worked on his car’s engine and captured the regional championship in 1965. His dream became reality. In 1968, his first year as a professional driver, Tony drove a Porsche 911 and captured the TransAm Under-2 Liter Championship. He also received the Ted Mayer Award for the most promising Driver of the Year, and was named Driver of the Year by MotorAge and by Countymagazines. The following year, he won the 1969 SCCA Continental Formula 5000 Championship in a Dan Gurney Eagle, the only American ever to have done so. Co-founder and Vice President of the Polish Racing Drivers of America, an organization boasting a world-wide membership to this day, Tony was always proud of his heritage. Through his career, he prominently displayed the Polish Eagle along with the American flag on his helmet. In 1971, Tony drove in the Cannonball Baker Sea-to-Shining-Sea Memorial Dash cross-country race from New York to California in the PRDA Chevy van, making the trip in 36 hours 47 minutes, coming in 2nd, only 53 minutes behind Dan Gurney’s Ferrari Daytona. In successive years Tony raced in the Can Am series and also internationally in 6 hr, 12 hr, and 24 hour endurance races at LeMans, France; Monza, Italy; South Africa; Japan; Ecuador; as well as closer to home in Daytona, Sebring, and Watkins Glen. Because of his stellar performance in World Manufacturers’ Championship races, Tony earned an FIA International Rating from the World Motorsports Authority, one of only five American drivers to do so. In the 1980s, Tony won 3 International Motor Sports Association season championships and continued his endurance racing. He also shared his expertise and passion by writing, speaking, and instructing in the racing community. 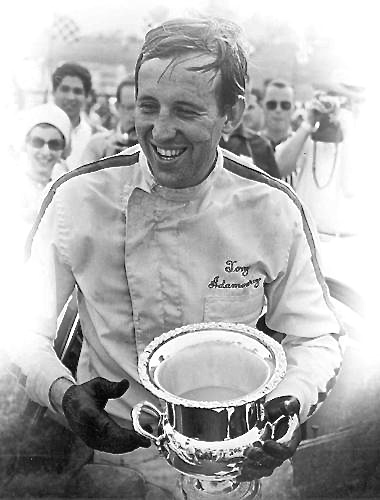 Tony drove in Vintage Sports Car races in the 2000s, astounding the racing world by winning 4 US Formula Revival Championships in his 1969 Eagle. Imagine driving at speeds upwards of 190 mph on a racetrack at the age of 73! brain cancer. A legend in auto racing, Tony is considered one of the most accomplished and diverse racers of the last generation. Known for his driving and mechanical skills, his engaging personality, and his passion, Tony captured the hearts of fans throughout his career of over fifty years. During that career, racing over 15 different makes of cars, 6 different models of Porsches, and 6 different models of Ferraris, Tony earned 9 Championships, countless class wins and lap records, and scores of top-ten finishes. In 2015 he was inducted into the Watkins Glen Drivers Walk of Fame; in 2016 he was inducted into the National Polish-American Sports Hall of Fame; and in 2017 he was inducted into the British Sports Car Hall of Fame. Tony A2Z lived his dream and inspired a countless number of people while doing so. Messages celebrating his life continue to appear on his personal Facebook page and on the two Facebook Tony Adamowicz Tribute pages. 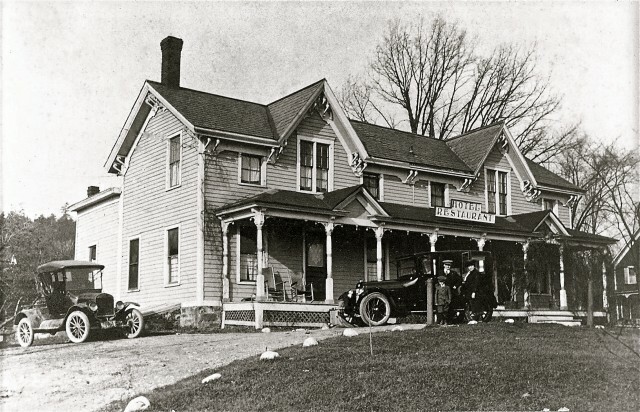 Presently the private residence of the last proprietor’s granddaughter, Cedar Point House began its nearly century-long life as inn and restaurant in the 1870s. It stands on the site of the old Meecham Farm, part of the property of A. B. Waldo, an early village supervisor and one of the first directors of the Cedar Point Iron Company. 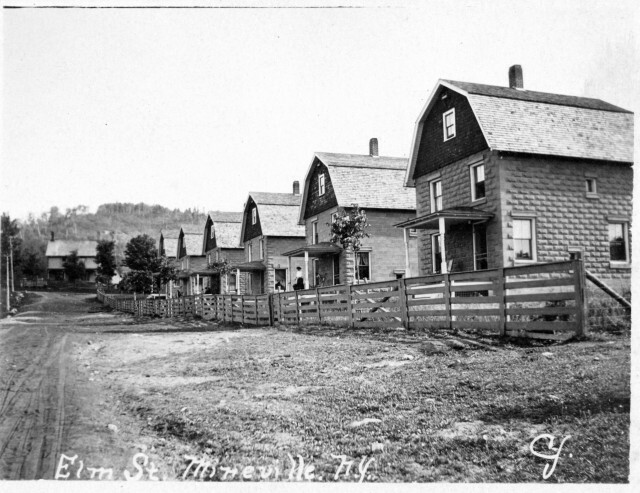 Ideally situated directly across the road from the Cedar Point furnaces and the Port Henry Railroad Depot, near the village’s first wharves on Lake Champlain, and on the main north-south route through the village (Route 9N), Cedar Point House was a convenient boarding house for ironworkers, dockworkers, railway workers, and travelers alike. It became the first residence in the village to acquire electricity when the superintendent of the Cedar Point Furnace installed a dynamo and ran the wiring across the road. 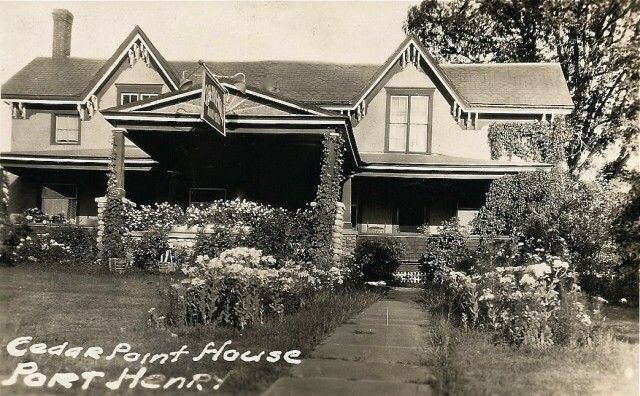 Steeped in and intrinsically tied to the history of the Village of Port Henry, which became the Town of Moriah’s commercial and transportation center in the nineteenth century, Cedar Point House served all levels of society. It provided housing and meals over the years for the workers who made Port Henry a successful village, for state and local officials who enjoyed the inn’s ambiance at formal gatherings, and for travelers who experienced the beauties of Lake Champlain and the Adirondack Mountains.